Jonathan is a Non-Executive Director of IG Group Holdings Plc and has recently served as the Chief Operating Officer of Barclays PLC. Prior to his role at Barclays, he was head of Bank of America’s European business until 2013 and became the Chief Executive Officer of Merrill Lynch International following the merger of the two institutions in 2008. He was a member of Bank of America’s Global Operating Committee. Jonathan has served widely on key industry associations including as chairman of the International Swaps and Derivatives Association (ISDA) from 2004 until 2008 and as a director of the Association for Financial Markets in Europe (AFME). He remains a member of AFME’s Advisory Board. Jonathan was a member of the Capital Markets Senior Practitioners of the UK Financial Services Authority and the Global Financial Markets Association. David was a founder and non-executive director of Sapex Ltd, Gas2Grid Ltd and Eastern Star Gas Ltd. He has substantial natural resource related experience, having previously served as managing director of North Flinders Mines Ltd and CEO of Beach Petroleum and Claremont Petroleum. David is a Fellow of the Australian Institute of Company Directors, a Fellow of the Australasian institute of Mining and Metallurgy and a Fellow of the Australian Institute of Geoscientists. 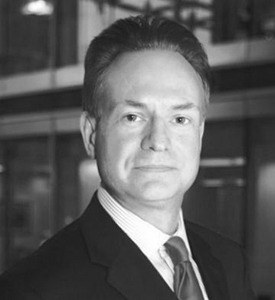 David is Non-executive Chairman of Galilee Energy Ltd and Cellmid Ltd and a Non-executive director of African Petroleum Corporation Ltd.
Steven has an investment banking background, with over 20 years’ experience, commencing with Ernst & Young Corporate Finance before moving to J.P. Morgan both in Australia and Europe. Steven has led equity transactions which have raised in excess of A$50bn for corporates across various countries including Australia, USA, UK, Switzerland, Finland, Holland, Austria, France, Russia, Singapore and Bermuda. In additional to his role with LCM, Steven is currently the Head of Corporate Finance at FinEx, Chairman of ASX listed ReNu Energy Ltd and holds numerous private company board positions. Steven is a graduate of the University of Sydney with a Bachelor of Economics. Steven was appointed as a Director of LCM on 9 November 2015. Patrick has been an executive director of LCM since 1 December 2013. He was a non-executive director from 2003. Patrick was previously the principal of Moloney Lawyers, which he established in 2003 and specialised in commercial litigation and had a diverse client base. Patrick has acted in more than 200 commercial litigation cases for clients in the District Court of NSW, the Supreme Court of NSW, the Federal Court of Australia and the High Court of Australia. Patrick was admitted to practice law in 1996. Prior to establishing his own firm, Patrick was an employed solicitor for 3 years and then a partner in the firm of Eddy Moloney for 4 years. Patrick is also the Chairman of 101 Capital Pty Ltd, the holder of a current Australian Financial Services Licence, which was formerly the Responsible Entity of a registered Managed Investment Scheme which raised significant monies from investors and operated an enhanced equity income strategy. 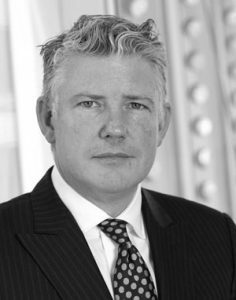 Nick has been involved in the litigation finance and legal expenses insurance industries since 1999. He created and defined the concept of portfolio litigation finance and is the global leader in identifying, creating and executing litigation finance portfolios. He is admitted as a Solicitor in England and Wales, in the British Virgin Islands and is an accredited mediator and has a wide range of experience in commercial and civil litigation issues. Nick is a regular speaker and frequent media commentator on all aspects of litigation, the costs regime, litigation finance, legal expenses insurance and a wide variety of legal matters. In 2010 he co-founded a family office backed global litigation funding business. He was then Managing Director of a large publicly listed litigation finance firm and led it globally outside of the Americas. He then founded Chancery Capital with a clear focus corporate client portfolios. He is a former Director of the Association of Litigation Funders of England & Wales. A pioneer in the development of the litigation funding industry in the UK and the common law world globally, he has led its transformation from third party funding, through litigation finance and now into a broad-based corporate finance offering. In doing so, Nick has been responsible for the largest and most innovative transactions in the field, including a €45 million portfolio financing deal for a significant FTSE 100 company and a £9m insolvency portfolio transaction with Grant Thornton and many more corporate portfolio-based investments globally. Nick is the author of Third Party Litigation Funding, published by Oxford University Press in 2014. 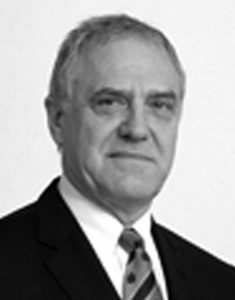 He is also a contributing author to The Legal Risk Management Handbook (Whalley and Guzelian -Kogan Page 2017) and to the 3rd edition of Friston on Costs (Dr Mark Friston -OUP 2018). Stephen was appointed as a director at the 2018 AGM and is responsible for finance, operations, compliance and risk. He has 25 years’ Investment Banking experience, specializing in risk management, governance and capital optimisation across a wide variety of industry sectors working for global banks in Singapore, Hong Kong and Sydney. Since leaving Investment Banking, Stephen has acted as an independent advisor and director for clients across asset management, infrastructure and financial services. He holds a Master of Applied Finance from Macquarie University, a Bachelor of Economics from the University of Newcastle, Australia and a graduate diploma in Applied Finance & Investment from the Securities Institute of Australia. He has also completed securities licensing exams in Sydney, Hong Kong and Singapore and is a graduate of the Australian Institute of Company Directors.